Hello everyone!! Ahhh, my blogging break has been going on for FAR TOO LONG. I’ve almost forgotten how to blog, for real ._. This January has been probably the busiest Jan of my life so far and lets just say, I have a lot to talk about in my update post, which is coming your way in less than two weeks! 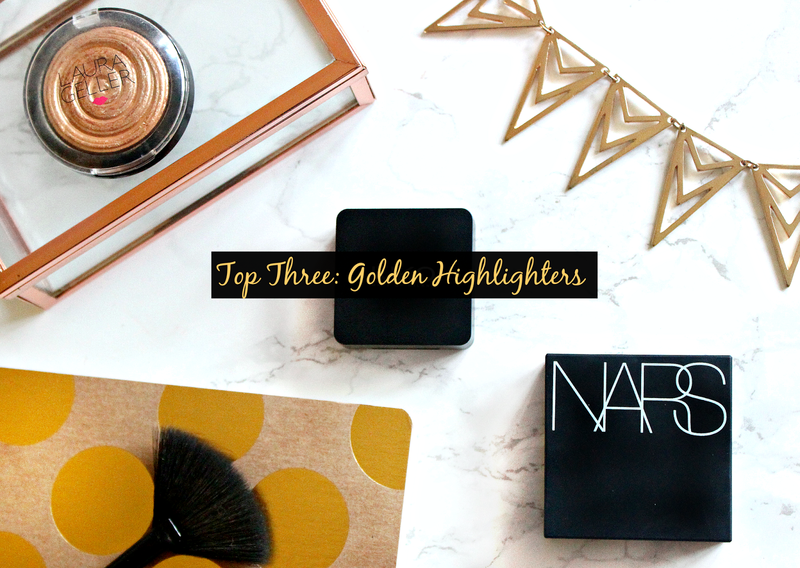 Anyway I thought I would ease myself back into blogging with a top three post, this time being one of my favourite makeup items ever - golden highlighters! *jazz hands* I have a medium/olive skintone and I find golden highlights are by far the most flattering for me. They can also look beautiful on fair and deeper skintones too of course, but they're the category of highlight that I always gravitate towards first. 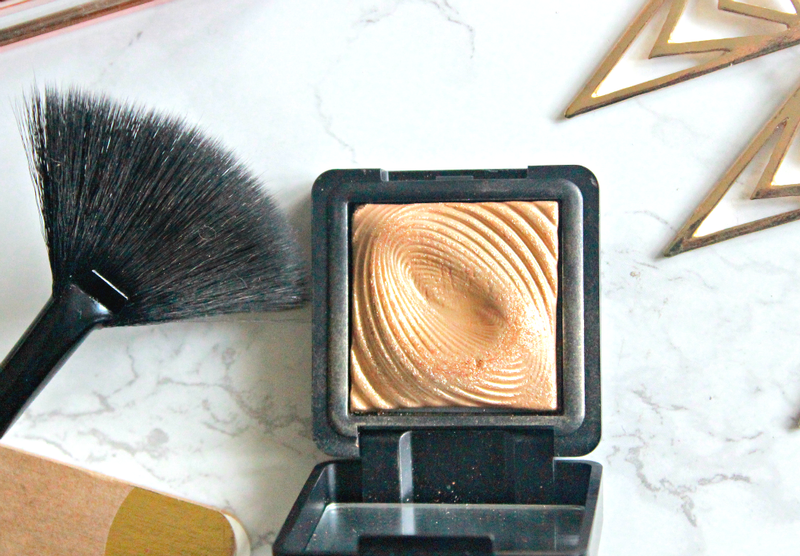 In this post I haven’t included cream or liquid highlighters, mainly because all three of these can be used wet and that is truly the key to getting a popping highlight. You don’t need 101 products to get the strobed look, of course a cream base is going to amplify your highlight, BUT you can totally apply any of these powders and then using a wet smaller brush, go in right on the tops of the cheekbones where you want a very bright look. If you want more info on strobing check out my post HERE. 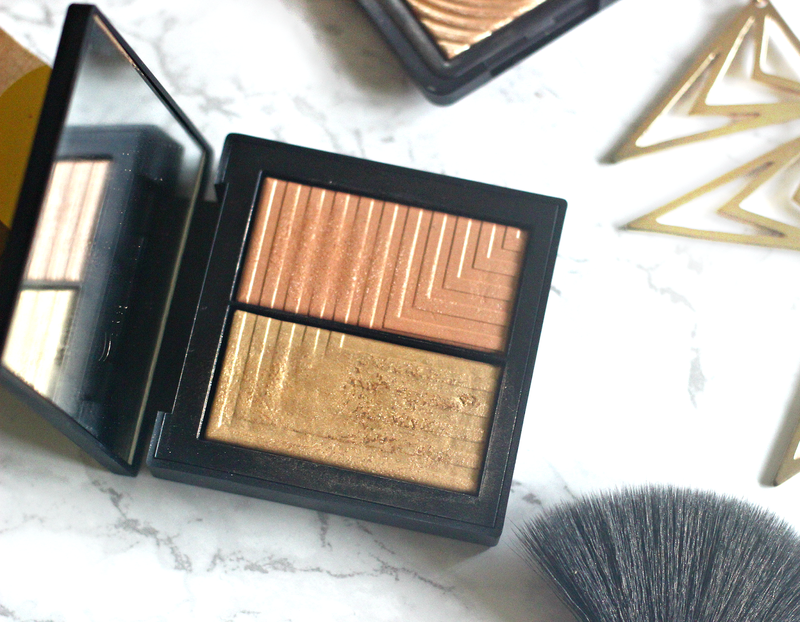 Starting with the budget option of this trio, the kiko shadow in 208 is well known in the beauty community for being a spot on dupe for many limited edition, high end highlighters! It is the lightest golden shade from the three and the one that would suit you lovely fairer skinned ladies the most. I personally prefer to use this one as more of a highlight topper, which is the step that takes a standard highlight application to another level. It looks incredible when applied with a damp fan brush and really gives a pop of highlight. I will say however that it does have a slight shimmer to it, which can appear a tad glittery on the skin if overdone, hence a little goes a long way! This is the most pricy of the trio (although technically each shade costs £15 right?) and I have to say I love the gold shade so much I would repurchase this in a heartbeat! The formula when used dry is buttery smooth and provides an instant noticeable glow. I absolutely adore how versatile it is, when used with a small fan brush and dry it is great for a day-to-day highlight. When used with a more dense brush, yet still dry it steps it up a little…and when used WET? Wow, you’ll be in a whole different league of gold! This is also the truest gold out of the three, it doesn’t have any silver or copper tones to it which I adore - NARS do not disappoint. 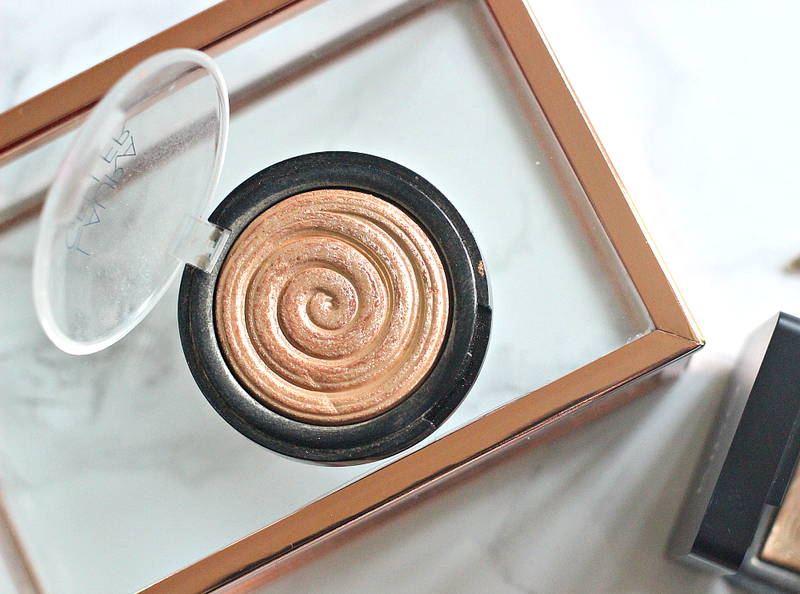 And finally the most popular highlighter of late, we have gilded honey. I first saw Desi Perkins use this and her skin tone is more tan than mine, but I LOVED how it lifted her features and made her glow! This highlighter is perfection for everyday because again it is build able, but a light dusting provides more of a subtle bronzy look, rather than a strong golden look. When its a special occasion, or I just want a stronger look I will of course dampen my brush slightly and get that strobed look, but for the most part i’m happy to use it dry. 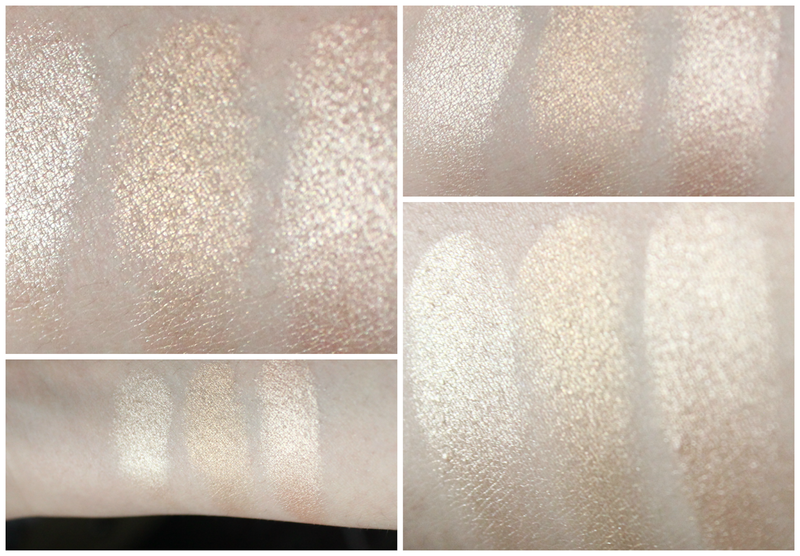 I can never quite get highlight swatches right, so I took a couple and stuck them all together into one for you all! The one of the left is the Kiko 208 which has a silver undertone, then in the middle the NARS golden shade from the Jubilation duo - look at that stunning gold tone! And on the right is the beautiful golden/bronzey gilded honey which I do find tends to look more golden on my skin but again as I said it is pretty versatile! So gilded honey is my most used out of the three, but if I had to pick ONE favourite golden one, then the NARS duo gets that award. 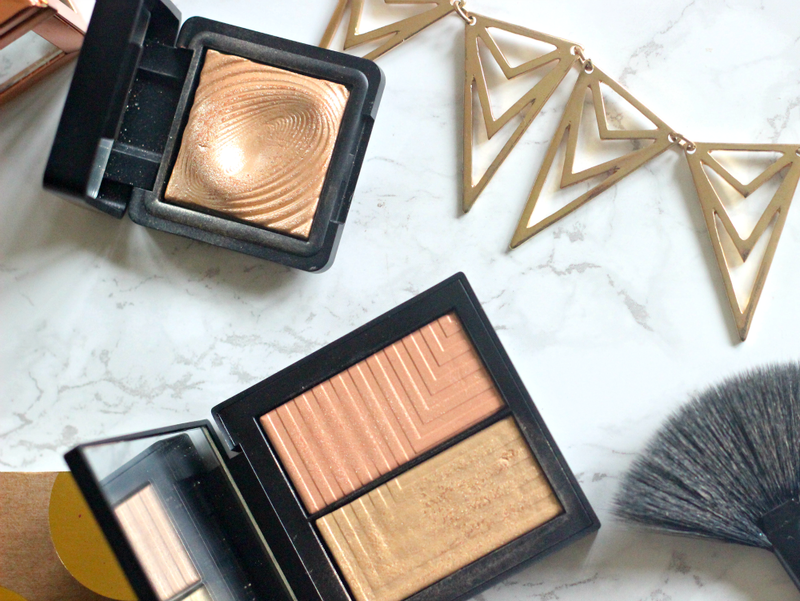 Kiko 208 is a fantastic choice if you want to try out golden highlighters, without really going for a strong gold or bronze look - plus it is very budget friendly!